The 2018-2019 HASP Call For Proposals was released on October 08, 2018. The current copy of the CFP is available below. Please notice that the due date is December 14, 2018. Teams preparing a HASP proposal/payload are advised to download and read the HASP Student Payload Interface Manual as well as CSBF website postings at http://www.csbf.nasa.gov/convdocs.html particularly the FY07 User's Handbook. Also of use are the Gondola Design documents at http://www.csbf.nasa.gov/gondoladocs.html. There are two classes of payload seats available to students on HASP. The more numerous "small payload class are generally used for smaller experiments or testing of satellite prototypes. The "large" payload class is useful for complex, large geometry or heavy experiments. The detailed compatibility for each payload class is given below. Each student team accepted for flight on a HASP mission will be shipped either a "small" or "large" payload mounting plate (see figure). each plate is constructed of 6 mm thick PVC with a "keep out" area marked around the parameter and holes in each corner for bolting the plate to HASP. 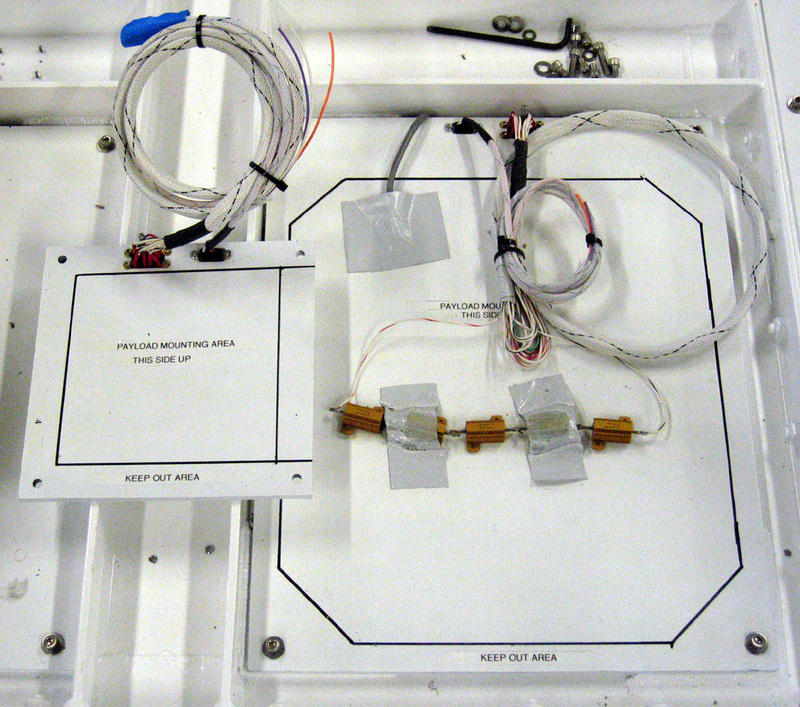 Within the allowed region of the plate the payload can be mounted and wired as necessary. 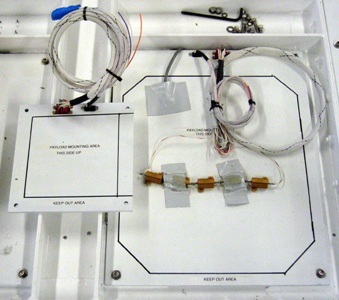 Also provided on the plate are DB9 and EDAC 516 connectors with wiring pigtails to provide the telemetry, power & commanding interface. Details about the mounting plate and electrical interface can be found in the HASP Student Payload Interface Manual. If your payload is accepted, your seat on the next HASP flight is contingent on providing documentation describing your payload as well as your plans for integration and flight. In addition, application for the future HASP flight will be contingent on delivery of a Final Flight Science Report. These documents are described below and templates are available as indicated. A final report on the results from the flight of your payload is due by the end of the calendar year. This report should include an assessment of the payload performance, problems encountered, lessons learned as well as science / technical results from the flight.